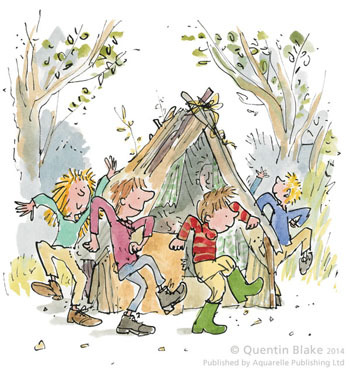 Quentin Blake is one of the most popular and enduring illustrators in the world today. 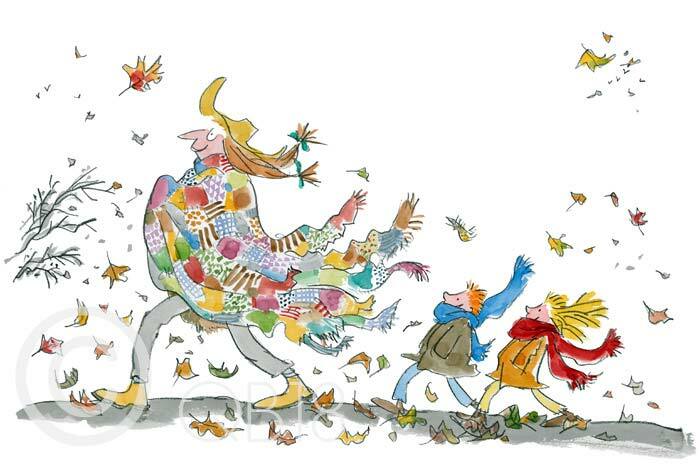 Since 1960 he has illustrated over 250 books by many writers, including Joan Aiken, Michael Rosen and most famously Roald Dahl. He also writes and illustrates his own picture books. In 1999 he was appointed the first Children's Laureate, and was awarded a CBE in 2005. For many years he taught at the Royal College of Art , where he was head of the Illustration Department from 1978 to 1986. He has won many awards and prizes, and was made an CBE in 2005. According to The Guardian, he was 'already a national institution' when he was appointed the first Children's Laureate in 1999. Since then he has had an additional career as an exhibition curator working in galleries in London and Paris among others. The Collector's Edition prints are mounted in acid-free bevel-cut mounts, and cellophane wrapped with a certificate of authenticity. There is a blindstamp lower-right with the unique edition number in pencil. The Signed prints are mounted in acid-free bevel-cut mounts and cellophane wrapped with a certificate of authenticity. The edition is strictly limited to a size of 195 only and is likely to sell out quickly. Each print is signed in pencil lower right by the Artist.